Most dentist offices in the Hickory, North Carolina area often schedule an appointment with their dentist weeks in advance. But there are some instance when you have an oral health emergency, such as needing a tooth removed as soon as possible or a facial injury to your teeth or gums. Luckily, there are plenty of dentist that not only schedule appointments but also accept same day walk-ins. They provide emergency dental care, with some places even offer 24-hour dental care. Often, all you need to do is some research, usually by looking up the website for you local dental society online. There you’ll find a list of all the dentists in the Hickory are and just look for those dental offices that offer services for dental emergencies or even operate a 24 hour emergency dental office in Hickory. This will help you find a walk-in dentist, find someone who provides emergency tooth extraction and are able to handle all types of urgent dental care. Luckily, we’ve compiled a list of the three best dentist offices that provide emergency dental care. 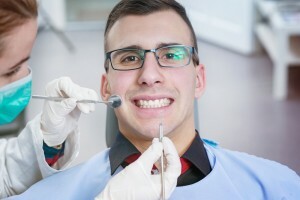 Description Call our Hickory referral service Emergency Dentists USA phone number and get connected to an emergency dentist in Hickory, NC in seconds! We provide a service that will get you to the dentist that fastest and easiest way possible, you can call us 24 hours a day, 7 days a week and its 100% free! Dentalworks – Hickory is a local provider that’s part of a statewide chain of dental offices. Not only can they provide emergency dental care, they also offer most if not all traditional dental services. These include General Dentistry, dentures and partials, cosmetic dentistry, orthodontics, periodontics, implants and endodontics (gum health specialist care). Mountain View Family Dentistry is another local business, one that’s not part of a chain, however. They like to focus on each patient individually by providing care specific to their needs. Along with emergency dental care, they also offer sedation dentistry, teeth whitening, cosmetic dentistry, advanced prosthodontics care (dentures and implants) and maxillofacial prosthetics. Foothills Oral Surgery is another office that provides emergency dental care, though walk-ins aren’t available on Friday due to their policy of only scheduling appointments on that day. In addition to offering urgent dental care, they also specialize in oral surgery procedures – mainly wisdom teeth extraction, dental implants, and bone grafting to help your body regrow bone lost during oral surgery. Before you go to an emergency dentist in the Hickory area, make sure you gather some important information before you travel there. Bring your insurance information to hopefully have your insurance company cover any procedures needed. It might also be a good idea to call an office ahead of time to see if they take your insurance coverage. Bring some money to the appointment rather than rely on getting billed like your normal dentist, since this office is unlikely to already have your payment information on file. Finally, if you know you may need a serious procedure like emergency tooth extraction or might need anesthesia during it, bring another adult to drive you home afterwards. Finally, when choosing a good emergency dental care provider, check on the same dental society registry mentioned earlier to research their background to see if they have a good reputation. The more highly regarded a particular dental office is the more likely they’ll be someone you’re happy with.